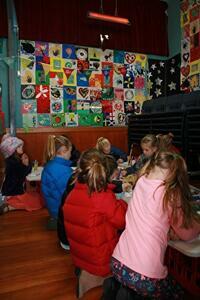 A photograph of children doing some colouring in while presenters gave speeches. The photograph was taken at The Worry Bug book launch at St Albans School on 8 July 2015. 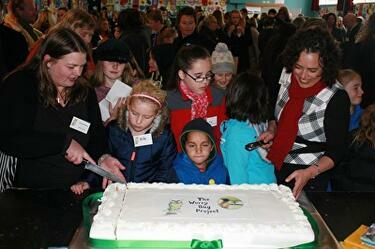 A photograph of Sarina McCormick (left) and Julie Burgess-Manning (right) cutting The Worry Bug Project cake. 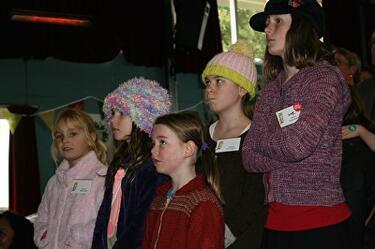 McCormick and Burgess-Manning are from Kotuku Creative, designer and publisher of The Worry Bug Project. The photograph was taken at The Worry Bug book launch at St Albans School on 8 July 2015. 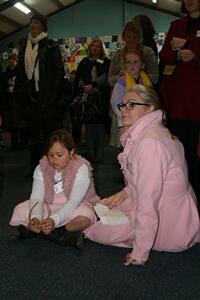 A photograph of Julie Burgess-Manning and her daughter at The Worry Bug book launch. 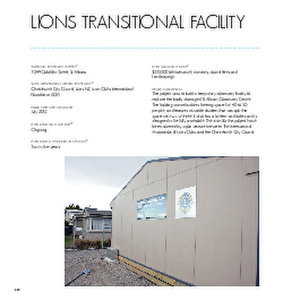 Burgess-Manning works for Kotuku Creative, designer and publisher of The Worry Bug Project. 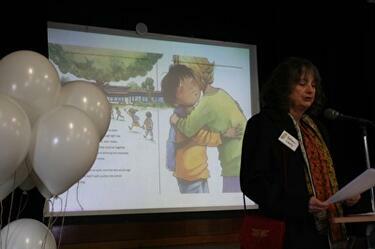 A photograph of Deputy Mayor Vicki Buck speaking at The Worry Bug book launch at St Albans School. Buck was the MC of the event. 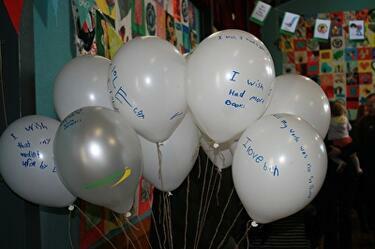 A photograph of balloons with wishes and worries written on them. 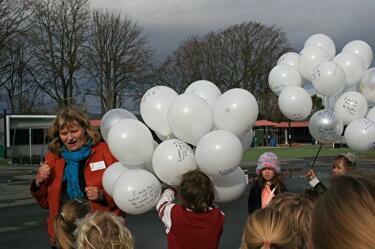 The balloons would later be released to symbolise letting go of worries. The photograph was taken at The Worry Bug book launch at St Albans School on 8 July 2015. 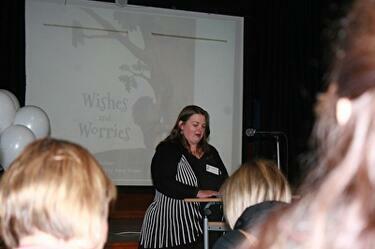 A photograph of Sarina Dickson at The Worry Bug book launch at St Albans School. Dickson works for Kotuku Creative, designer and publisher of The Worry Bug Project. 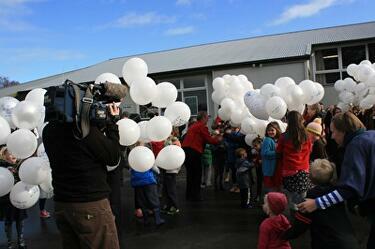 A photograph Deputy Mayor Vicki Buck (left) standing next to balloons that are about to be released. Buck was the MC of the event. Worries and wishes have been written on the balloon. The photograph was taken at The Worry Bug book launch at St Albans School on 8 July 2015. A photograph of balloons about to be released. Worries and wishes are written on the balloons. In the foreground, a ONE News cameraperson films the events. The photograph was taken at The Worry Bug book launch at St Albans School on 8 July 2015. 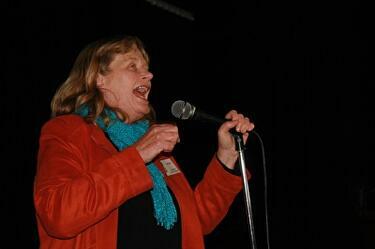 A photograph of Associate Professor Kathleen Liberty giving a presentation at The Worry Bug book launch at St Albans School. Liberty is an Associate Professor in the College of Education, Health and Human Development at the University of Canterbury. 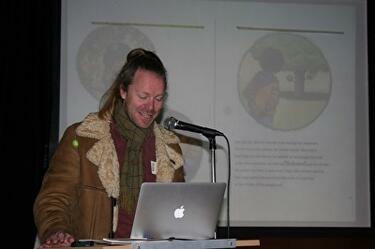 A photograph of Ciaran Fox (Mental Health Promoter for All Right?) 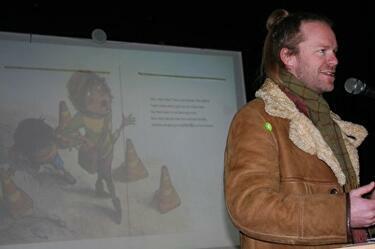 giving a presentation at The Worry Bug book launch at St Albans School. All Right? supported The Worry Bug Project. 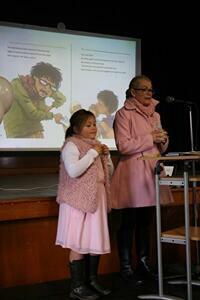 A photograph of Sarina Dickson giving a presentation at The Worry Bug book launch at St Albans School. Dickson works for Kotuku Creative, designer and publisher of The Worry Bug Project. 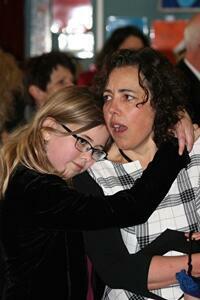 A photograph of Tracey Chambers and her daughter at The Worry Bug book launch at St Albans School. 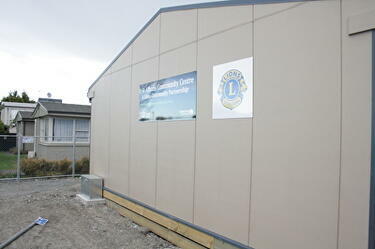 Chambers is from The Canterbury Community Trust, who helped to finance The Worry Bug Project. 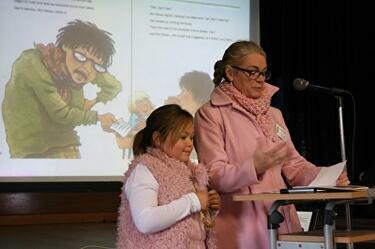 A photograph of Tracey Chambers and her daughter giving a presentation at The Worry Bug book launch at St Albans School. 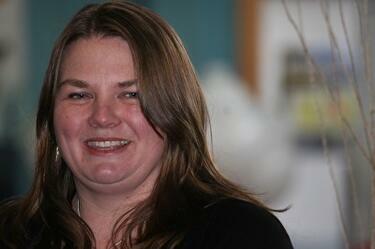 Chambers is from The Canterbury Community Trust, who helped to finance The Worry Bug Project. A photograph of children watching speakers give presentations. The photograph was taken at The Worry Bug book launch at St Albans School on 8 July 2015. 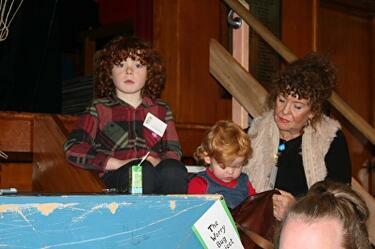 A photograph of people sitting on stage at The Worry Bug book launch at St Albans School.